I totally agree with you. I think one of the best things about them are they are lightweight yet still great coverage. I always need something when I go to an appointment or store since the A/C is quite cold! 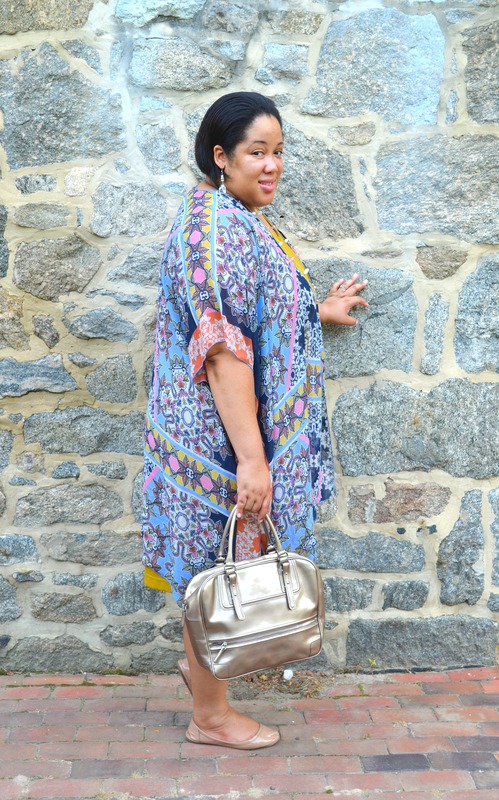 The print of your kimono is stunning! Very pretty combo. I definitely need more yellow in my wardrobe. Believe it or not, I am still looking for a kimono that I like and would work in my wardrobe. 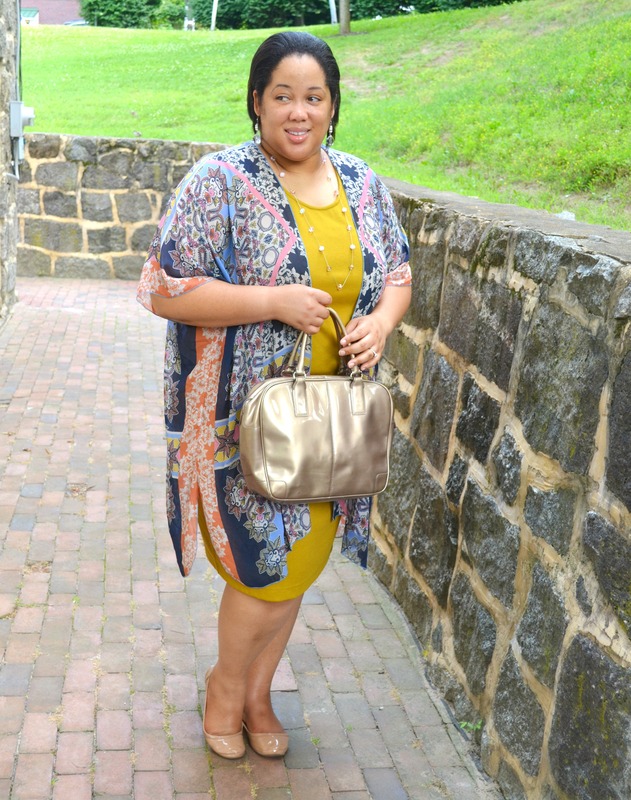 I have a few solid color dresses and a pop of color from a kimono would be perfect. Looking good sis! Love this look on You & I also love kimonos. Enjoy your Summer! Thanks, Neti! Wishing you a great summer…xo! I love kimonos to finish off an outfit. Cute! I adore Kimono’s as well. I need more of them! Girl, you look fabulous in that ensemble! The kimono is so so pretty! I love the print so much! 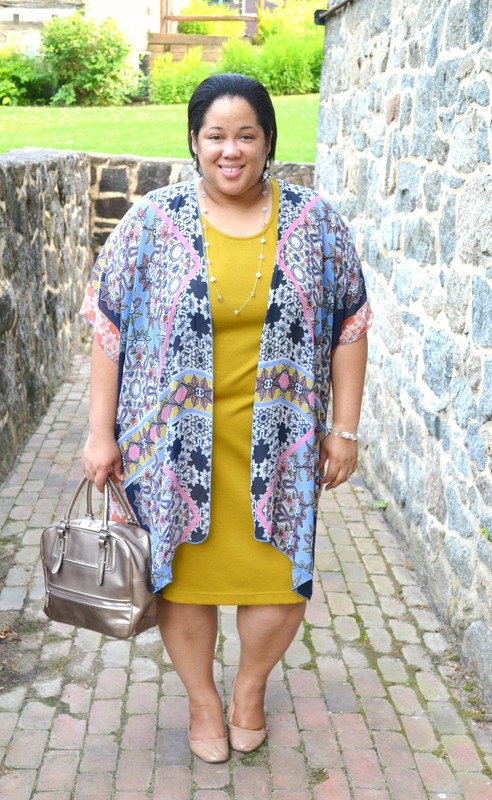 You have a real knack for pairing kimonos with great looks. 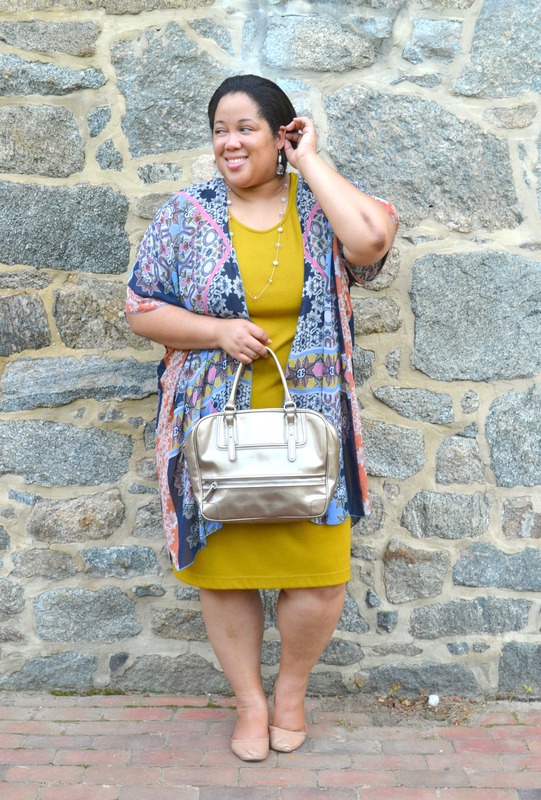 This one paired with this mustard dress is the bomb! I love a nice kimono and I adore the color of your dress! I’ve never paired a kimono with a dress I will try it. You look lovely! I like kimonos as well but am not very good at styling them. You always look amazing in your collection girl! How cute! That dress and kimono are perfect together!